Like aliens? Toys? Lawn ornaments? How about sombreros? Palm trees? Would a rubber ducky catch your fancy? 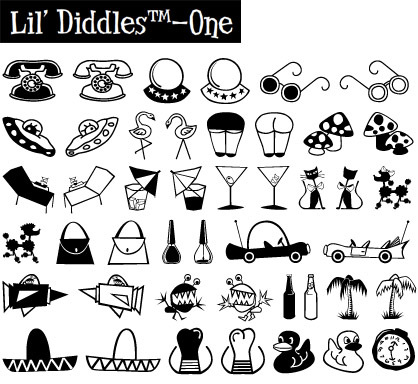 In case you haven’t guessed by now, Lil’ Diddles One is an eclectic kind of picture font. Complete with the designer’s trademark pomp and/or kitschiness. US$25.